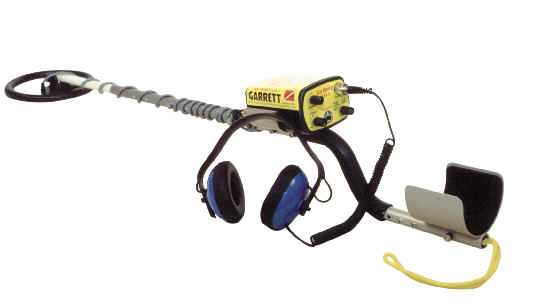 Like most people, I purchased my first metal detector from Radio Shack. It was a Micronta 4003 and I was thrilled with it. I thought I was going to find everything I'd read about both on land and at the beach. Little did I know that these early detectors weren't built for such things. They were only good for finding a few coins that were not buried too deep, as these early detectors didn't get much depth, but they were fun. After playing with this detector for awhile I realized that I had to buy a more reliable brand name detector that would find what I was after. 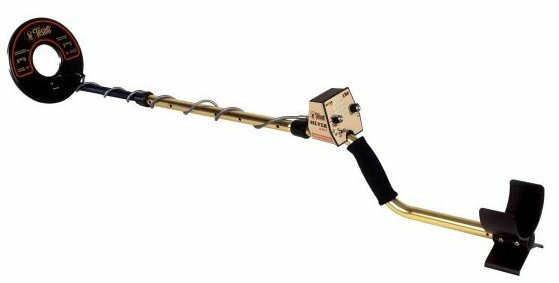 With that in mind here is my list of past and present metal detectors. Shown below are the detectors that I have owned and used. 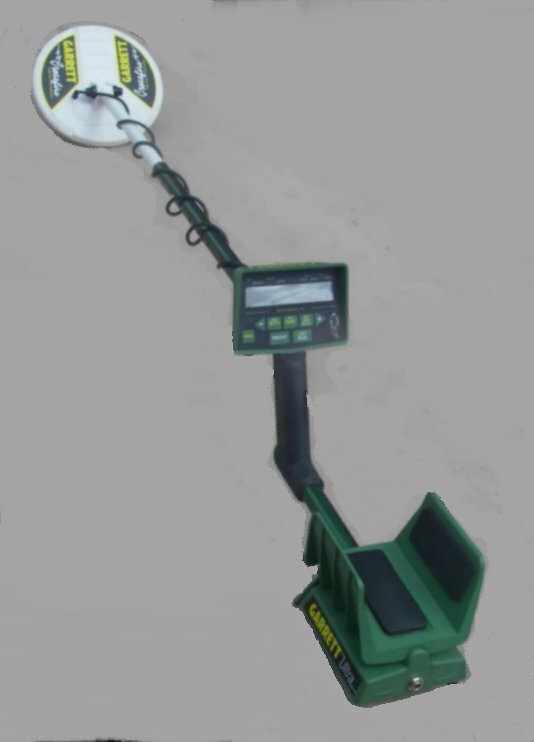 Most are land detectors with the exception of the Tesoro PIranha, the Garrett Sea Hunter Mark II and the White's Surfmaster PI which are PI (pulse induction) detectors that are used in more mineralized conditions, such as the salty surf and under water. All these machines work well and I've had no problem finding treasure with any of them. 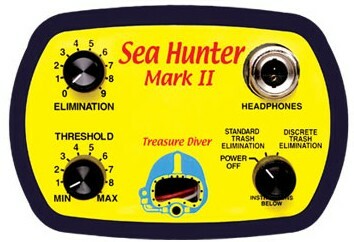 I no longer have the Garrett Sea Hunter Mark II. 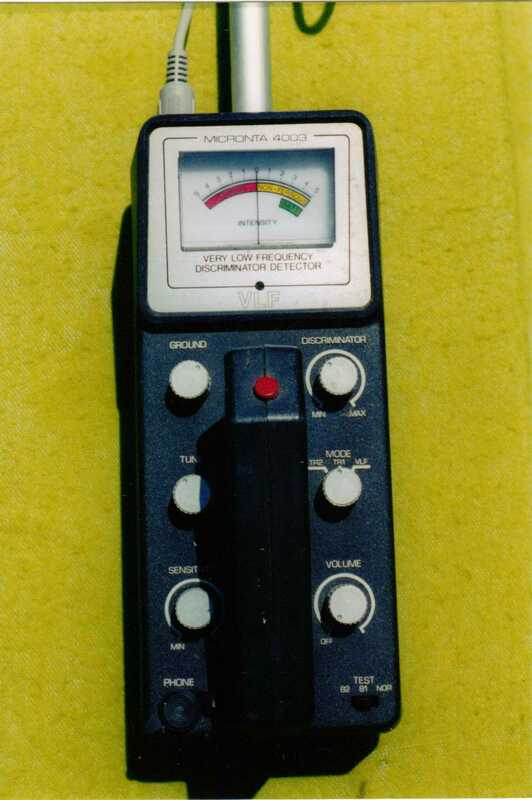 For me this detector was just too heavy, bulky and cumbersome to detect with. Also the Tesoro Bandido II µMax (the 'µ' is the symbol for mico, therefore it would read 'micromax'), Tesoro PIranha, White's Surfmaster PI and the Tiny Tec Pinpointer have all moved on as well. These are all great detectors and work well, but I don't need that many spares. I decided to sell them to others who could get enjoyment from them as I did. In their place I now use two detectors that can do everything for me that I need. The Detector Pro Head Hunter Wader and White's MXT are all the detectors that I need. 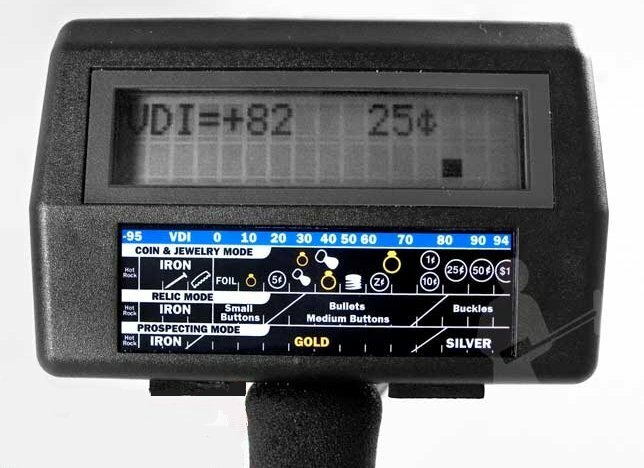 Both are fantastic turn on and go machines and are great for anyone just getting started in this hobby or even someone who's been detecting for years. Here are the two machines that I use most often. I'm comfortable with them, I know how they work and I find treasure with them. 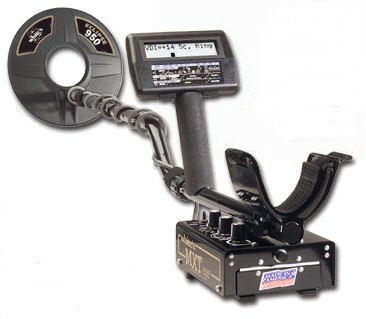 The White's MXT is my newest detector. It is simple to use and shows me what's in the ground before I dig. It can be used for coins and jewelry, hunting relics and hunting on the salty beaches of New England as well as in the surf. The Detector Pro Head Hunter Wader allows me to detect in the water as well as on land. 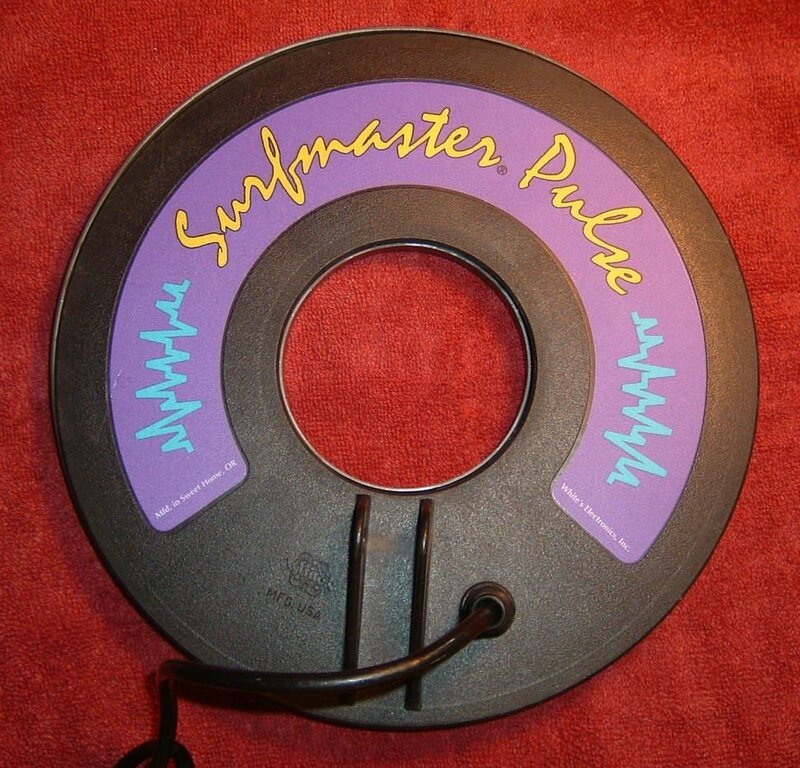 It's not made for diving, but if the headset controls drop into the water there is no problem. I just pick them up, put them on and continue detecting. 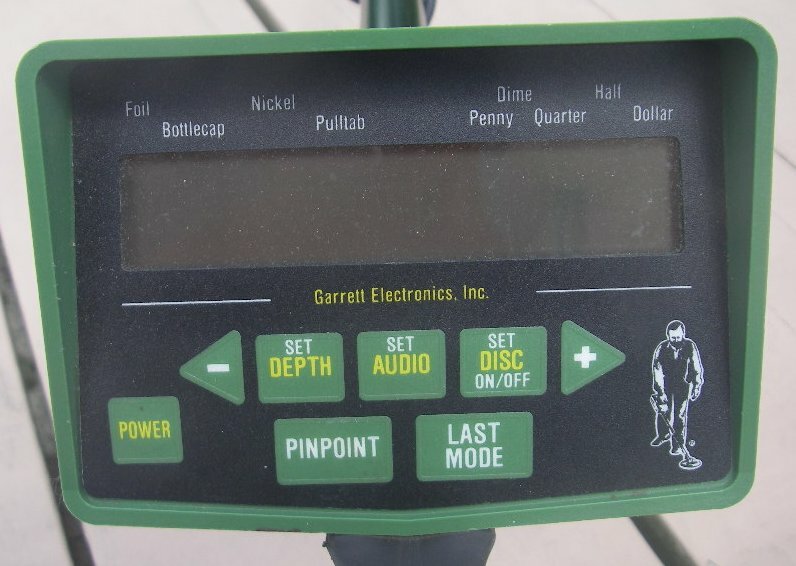 The Wader has only three controls and no bulky control box on the shaft. Everything is in the headset. One side has the controls and the other side has the batteries. 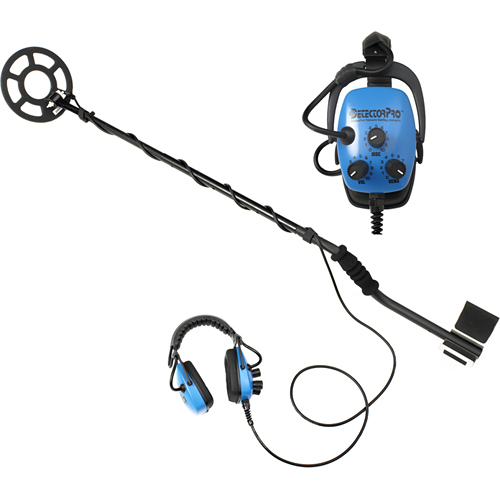 The amazing thing about this detector is that it can be used on dry land, sandy salt beaches and in the water both at the ocean and fresh water lakes and ponds. It is truly a go anywhere detector. 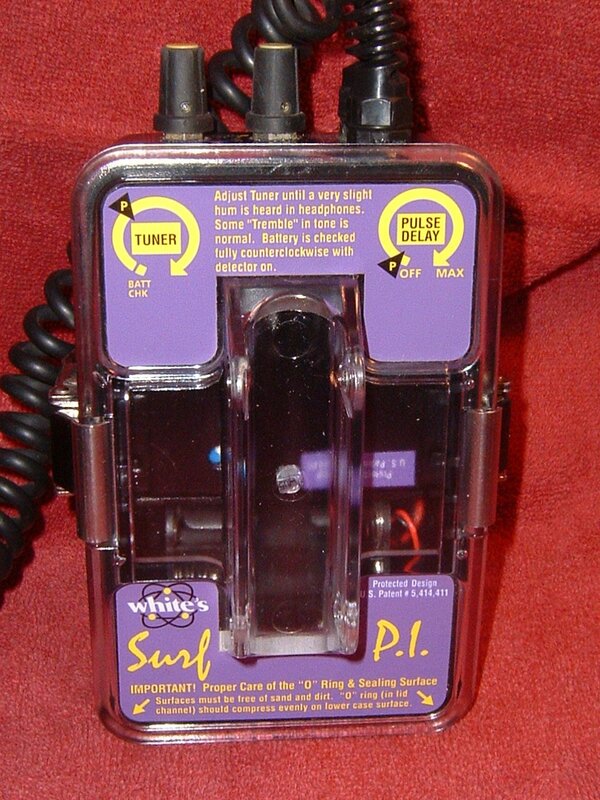 Unlike pulse detectors used in the water, this has a discrimination knob to tune out any unwanted junk. I've also added a couple of Pinpointers to my group. A short explanation about them with their pictures is shown below. To see enlargments of any of the Metal Detectors below just click on them. 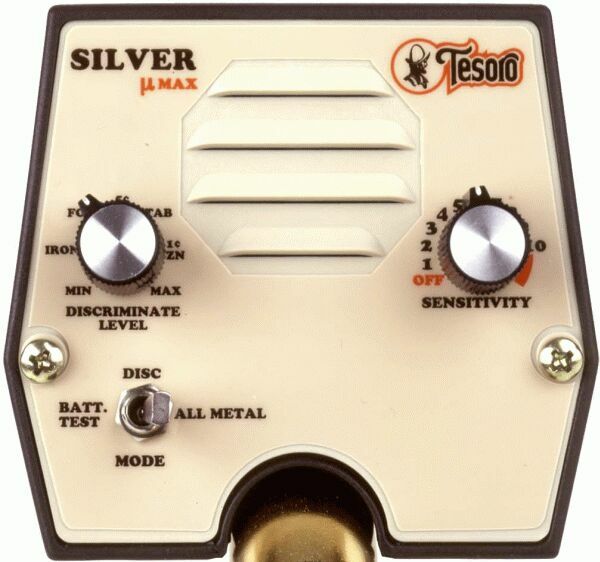 In addition to using the Silver µMax I've added Tesoro's Clean Sweep Coil. It's 3.6 inches wide by 18 inches long. The depth is the same from toe to heel making it the best coil for covering the most area at one time. It's great for getting into narrow areas around bleachers and fence posts. 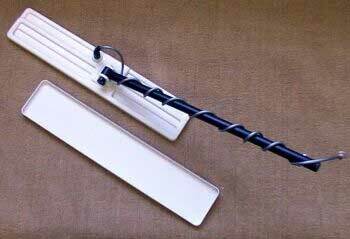 It doesn't take long to sweep a play ground or a beach with this coil. 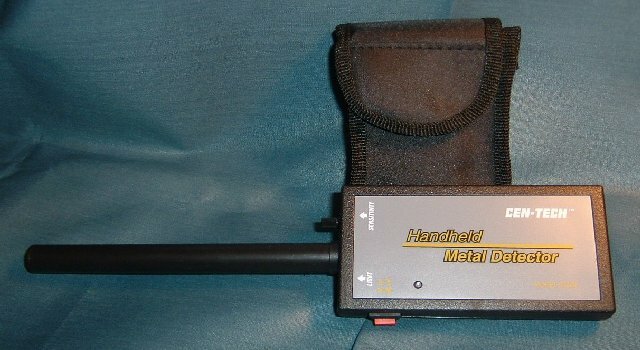 These two small hand held metal detectors are called 'Pinpointers'. Their depth range is no more than a couple of inches and they are used to pin point a target in the ground that you have been searching for but just can't seem to find. Some older coins and pieces of metal start to take on the color of the soil around them and are much harder to locate. Is it a coin or is it a flat rock? The pinpointer allows you to know exactly what these items are and where these items are hiding even though they may be right in front of your nose. They help to relieve the frustration of trying to locate something as small as a pierced earing without actually seeing it.